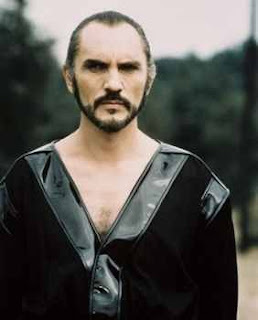 FilmLand Empire: Superman, the Man of Steel: General Zod has a new face! 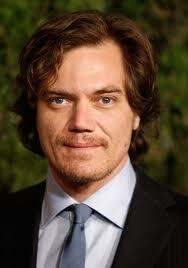 Superman, the Man of Steel: General Zod has a new face! The actor has a sort of demented look to him in several pictures that actually makes him look like the perfect candidate for the role. Obviously he is going to need a serious costume update if he wants to avoid the "Abba singer gone bad" vibe to the original outfit. I am not sure if having him as the villain is such a good idea. The 2006 reboot, while not quite a financial flop, disappointed on so many levels. The main problem with it was that it had been imagined as a loving tribute to the 70's serie, which, unfortunately, went right over the head of anybody over 35. And the lack of action did not help. But the main problem I had with it was the choice of the bad guy, Lex Luthor. Since the Richard Donner mega succesful adaptation, we have had The Joker, Doctor Octopus, Magneto, so many more complex and interesting villains... Next to them Lex Luthor was plain boring, not helped by a particularly uninspired turn by Kevin Spacey. So I just wish Zack Snyder had gone for a more original villain. 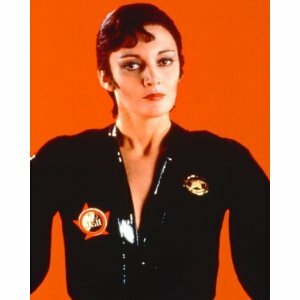 But at least, who says General Zod, means demented female sidekick Ursa, played by the incredible Sarah Douglas in Superman 2. A few names were tossed around to reprise the role, Diane Kruger, Rosamund Pike... Both would be excellent! Superman: The man of steel, will be released in December 2012.